It may not be the busiest of seasons for room occupancy but that doesn’t mean our Members and Committee are enjoying much down time. Here’s a look at some of our activity over the past month. 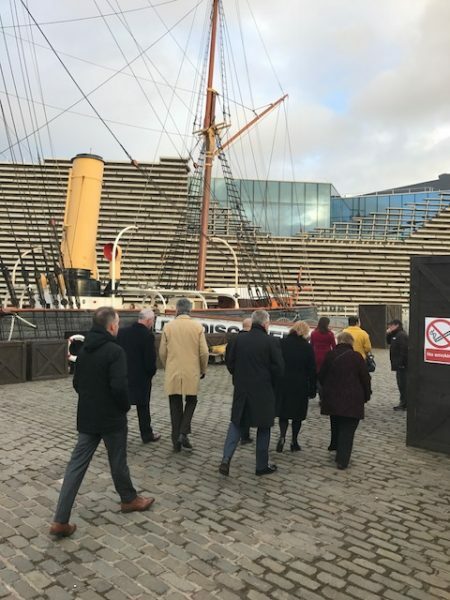 DAVAA hosted the Aberdeen Hoteliers Association (AHA) in a windy Dundee on Wednesday the 24th of January. 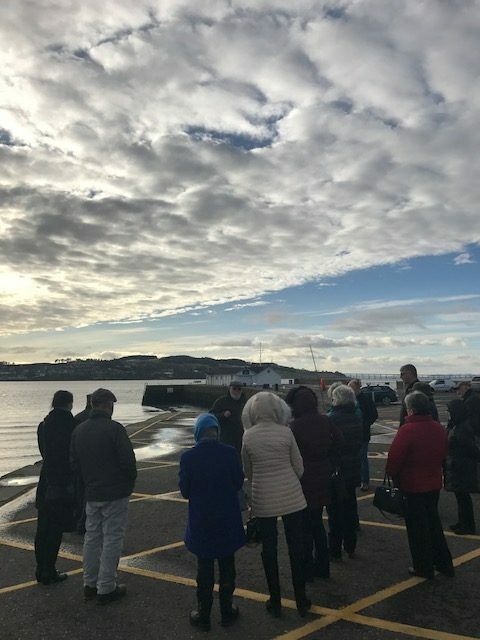 Committee members Gordon Mackintosh, Richard Ellison and Secretary Stuart Clark welcomed the delegates down from the Granite City to the Apex City Quay Hotel & Spa. 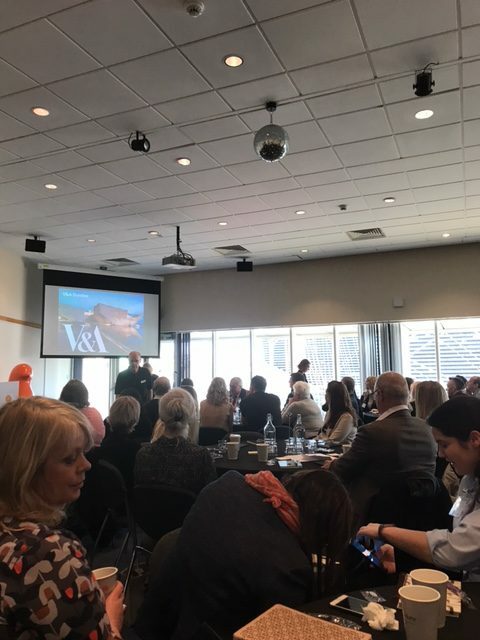 Alan Watt, Director of the Waterfront development, conducted a presentation of the latest happenings along Dundee’s ambitious riverside area. 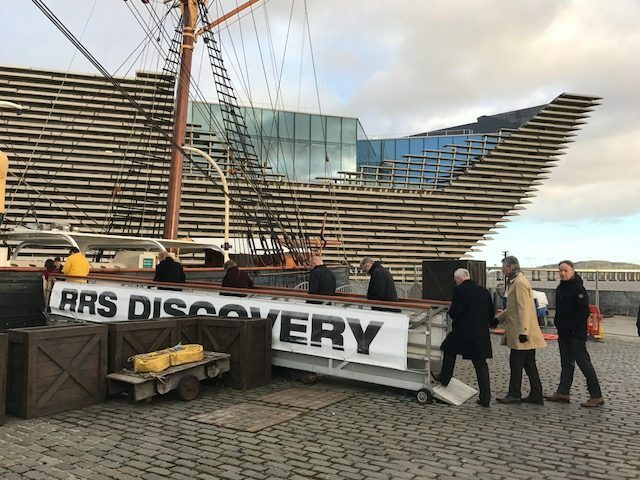 After a spot of lunch they were taken to RRS Discovery for a guided tour and then on to the Dundee Contemporary Arts centre before heading to Malmaison for dinner. Here they were joined by more of DAVAA’s Committee; Olwyn Jack, Louise Nicoll, Christine Milne and Roula Samaha. Both Associations agreed that there was much to learn from each other and we look forward to paying them a return visit to Aberdeen in the near future. Dundee and Angus Councils invited some of our members along to hear about their plans to market the region along with North Fife and Perthshire. Branded as ‘Taycountry’ the four councils will look to take advantage of the increased exposure the arrival of V&A Dundee has brought and promote a wider geographical area to new and established markets. Council led and funded, the marketing campaign will begin over the next few months. Representatives from Newton Farm, Malmaison, Apex City Quay Hotel, Carnoustie Golf Hotel and Balmuirfield B&B attended. V&A Dundee relayed a bit more information about their plans working toward their opening date of the 15th of September. DAVAA members; Forbes of Kingennie, RnR Boutique and Breakfast, Seaview Guesthouse attended the meeting along with our Secretary. 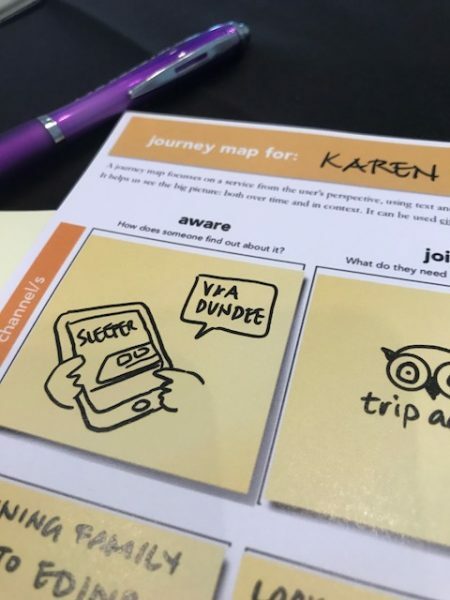 In the speeches, V&A Dundee announced they were delighted to be working with us to pilot their digital pack. Last year we conducted a survey of our B&B members. We asked what they needed to help them better understand social media in order to use it as a tool to promote their businesses. The majority stated that they wanted to have one to one sessions with a trainer. Eight of our members and their businesses have benefitted from some bespoke training sessions with Carrie Shannon of We are Ninja Media Ltd. The feedback we’ve since received from the members involved has been extremely positive. 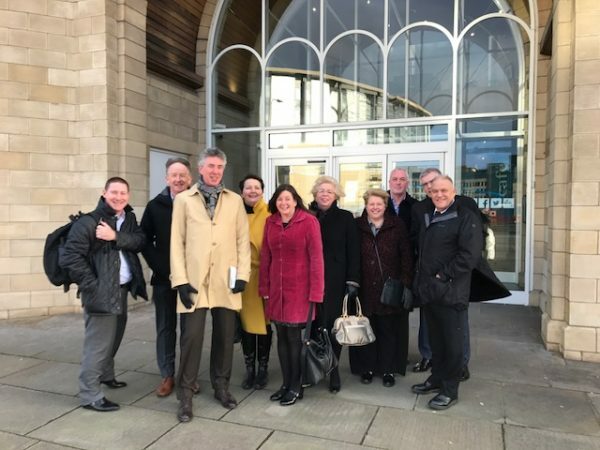 Chairman, Brett Davidge, and Secretary, Stuart Clark met with members of the Dundee and Angus Convention Bureau to discuss plans for the provision of accommodation and services for the competitors of the World Union of Karate Federations Championship in June. We’ll here much more about all their exciting plans at our AGM on the 20th of February. 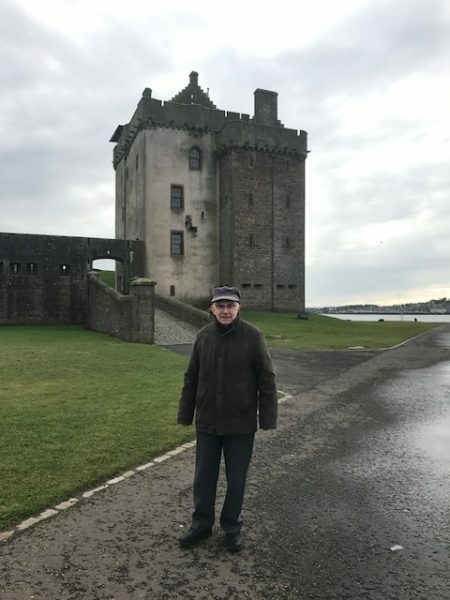 DAVAA and the Broughty Ferry Traders Association met in January to discuss ways we could possibly work together on joint projects. 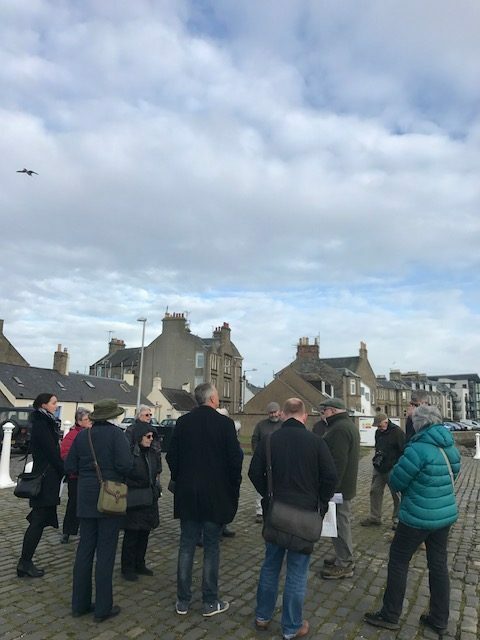 To kick off this collaboration our members were treated to a fantastic guided tour of Broughty Castle and the neighbouring streets. 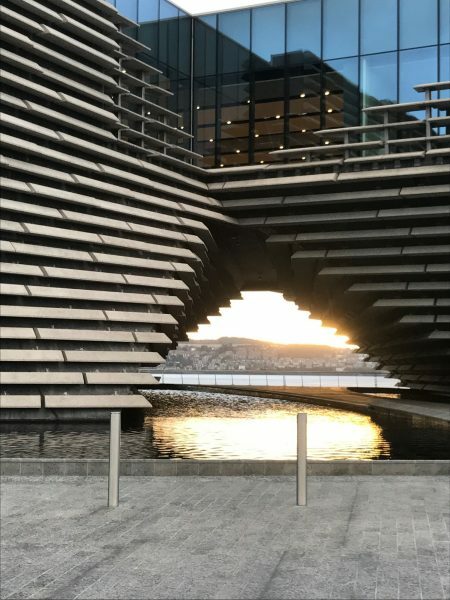 History, culture and the tourism opportunities that both present are being used to good effect to create a destination with a strong identity worthy of any visitors attention during a trip to Dundee and Angus. We look forward to bringing both our respective members together on mutually beneficial ventures over the coming year. A big thanks goes to Alex Cooper from BFTA for organising the day for our members. 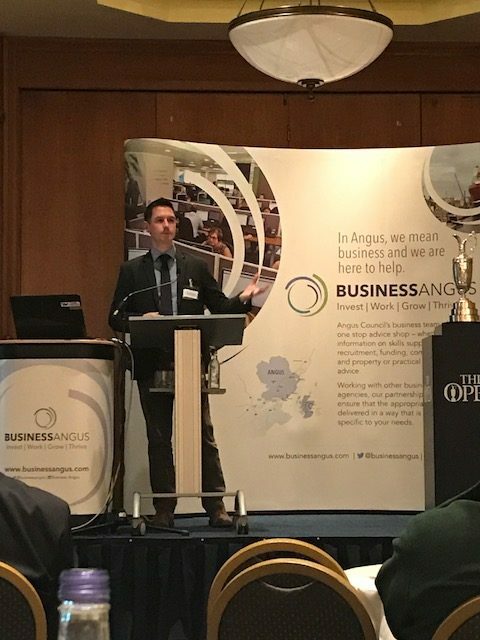 Business Angus and the R&A held a workshop at the Carnoustie Golf Hotel & Spa in the wake of the upcoming open Championship in July. 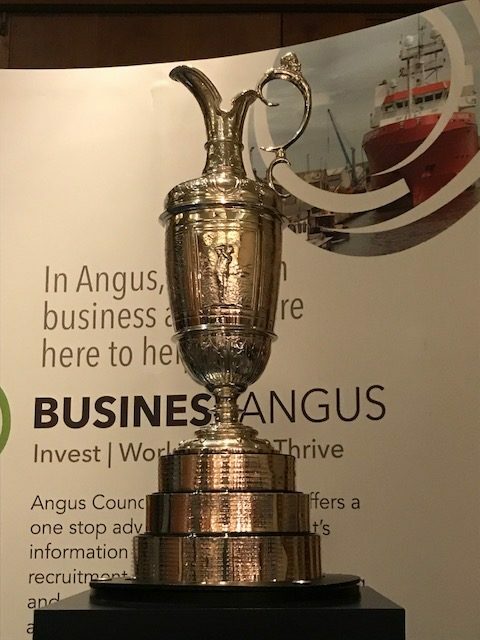 During the speeches we heard from Golf Sector officer, Jane Taylor, who presented on what the Open means to Angus, outlining the benefits and opportunities for businesses that would arise. Michael Wells, from Carnoustie Golf Links, spoke about the excitement and challenges that come with hosting one of the world’s top sporting events. He gave brief mention to the controversial re-admissions policy and stated that the benefits brought by Open were considerable and making the most of the influx of visitors it brought was an opportunity to capitalise on. A representative from R&A followed and then the attendees were given time to network. The catering from our member, the Carnoustie Golf Hotel was excellent. Our Committee have also attended various other meetings representing the Association and providing a vital link that makes sure information about the issues tha affect our businesses are passed on and shared to the members.